Glenn Hodgkins is a Research Hydrologist with the U.S. Geological Survey New England Water Science Center. His work in recent years has focused on statistical hydrology at the regional, national, and international scale, primarily on the analysis of change and variability of historical streamflow, groundwater, and lake-ice data, and also on probabilistic forecasting. Glenn is the lead author or co-author on 21 peer-reviewed journal articles in major hydrology and climate journals since 2002. The Influence of Climatic and Land Use Changes on Extreme Streamflows in the U.S.
Hydrologic droughts and floods can have severe impacts on river infrastructure, water supply, and ecosystem functioning. Contacts: Glenn A Hodgkins, Debra A Willard, Ph.D.
As part of the National Water Budget Project, our objective is to quantify how well observed trends are simulated. 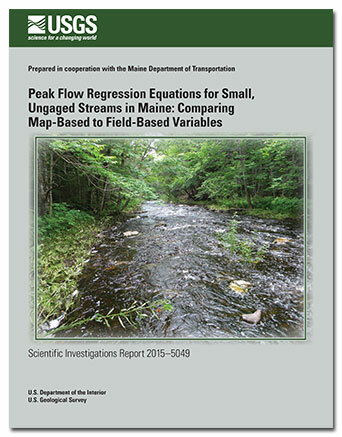 Check out this webinar for more information on influencing water flow in Maine rivers and streams. 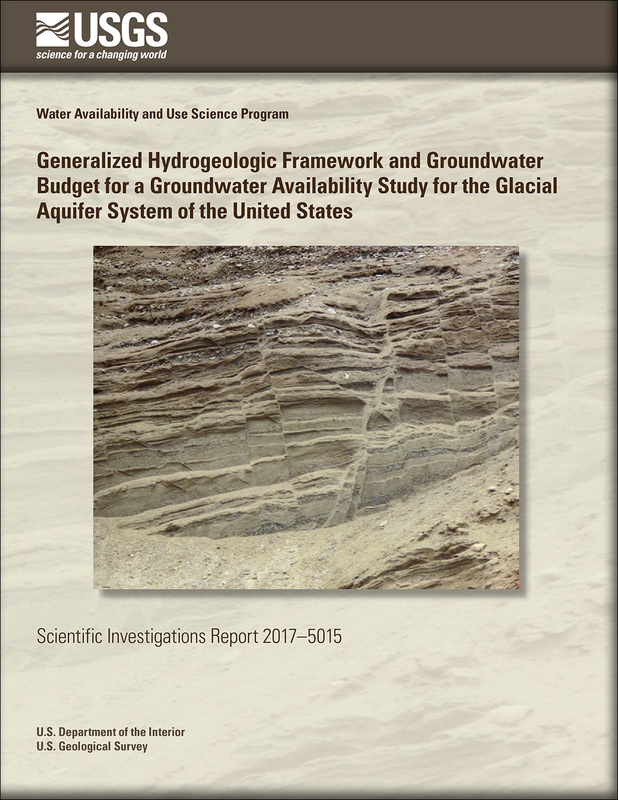 Hodgkins, Glenn A.; Dudley, Robert W.; Nielsen, Martha G.; Renard, Benjamin; Qi, Sharon L.
Hodgkins, G.A., Dudley, R.W., Nielsen, M.G., Renard, B. and Qi, S.L., 2017, Groundwater-level trends in the US glacial aquifer system, 1964-2013: Journal of Hydrology, v. 553, p. 289-303. Dudley, Robert W.; Hodgkins, Glenn A.; Dickinson, Jesse E.
Dudley, Robert W., Glenn A. Hodgkins, and Jesse E. Dickinson, 2017. Forecasting the Probability of Future Groundwater Levels Declining Below Specified Low Thresholds in the Conterminous U.S. Journal of the American Water Resources Association (JAWRA) 1-13. Hodgkins, G.A., Whitfield, P.H., Burn, D.H., Hannaford, J., Renard, B., Stahl, K., Fleig, A.K., Madsen, H., Mediero, L., Korhonen, J. and Murphy, C., 2017, Climate-driven variability in the occurrence of major floods across North America and Europe: Journal of Hydrology, v. 552, p. 704-717. This dataset contains gage information for 75 Hydroclimatic Data Network-2009 basins in the conterminous United States and associated annual runoff volume, winter-spring runoff volume, and winter-spring runoff timing data 1920-2014, as well as trend results for WSCVD and WSV for periods 1920-2014, 1940-2014, and 1960-2014. Dudley, R.W., Hodgkins, G.A., McHale, M.R., Kolian, M.J., and Renard, Benjamin, 2016, Winter-spring streamflow volume and timing data for 75 Hydroclimatic Data Network-2009 basins in the conterminous United States 1920-2014: U.S. Geological Survey data release, https://doi.org/10.5066/F7R78CBX. McHale, Michael; Dudley, Robert W.; Hodgkins, Glenn A. 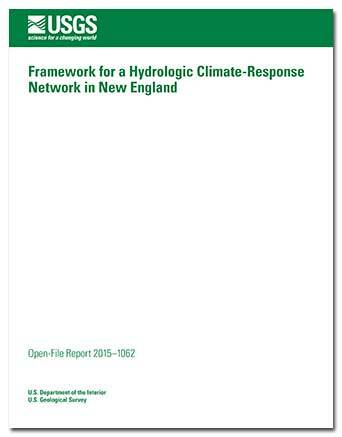 Lent, Robert M.; Hodgkins, Glenn A.; Dudley, Robert W.; Schalk, Luther F.
Lent, R.M., Hodgkins, G.A., Dudley, R.W., and Schalk, L.F., 2015, Framework for a hydrologic climate-response network in New England: U.S. Geological Survey Open-File Report 2015–1062, 34 p., http://dx.doi.org/10.3133/ofr20151062. 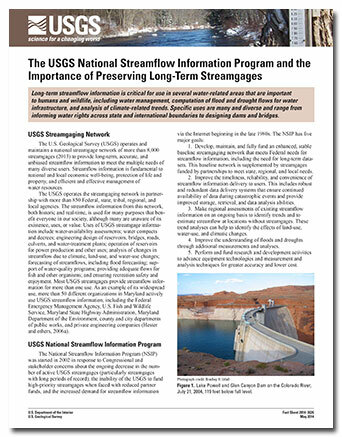 Lombard, Pamela J.; Hodgkins, Glenn A.
Hodgkins, Glenn A.; Norris, J. Michael; Lent, Robert M.
The USGS National Streamflow Information Program and the importance of preserving long-term streamgages; 2014; FS; 2014-3026; Hodgkins, Glenn A.; Norris, J. Michael; Lent, Robert M.
The importance of record length in estimating the magnitude of climatic changes: an example using 175 years of lake ice-out dates in New England; 2013; Article; Journal; Climatic Change; Hodgkins, Glenn A.